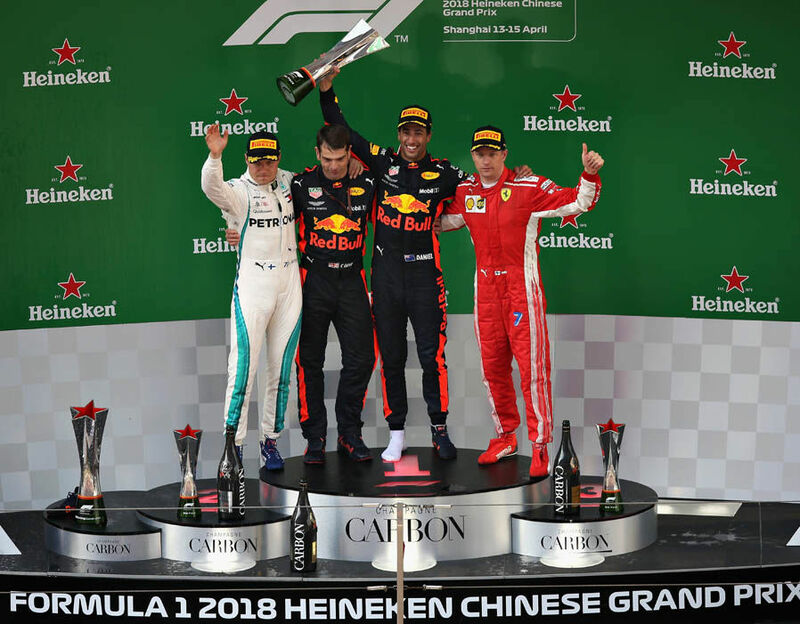 Lewis Hamilton jumped into the lead at the start of the Chinese Grand Prix to never give it away again. 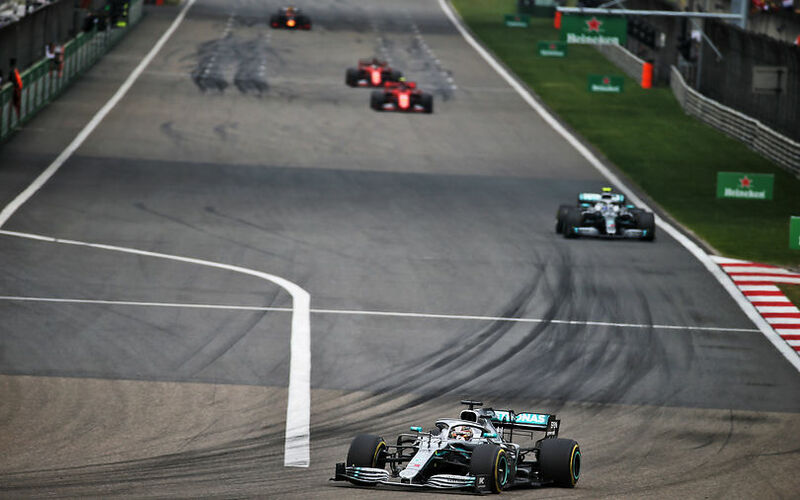 Pole sitter Valtteri Bottas held on to second and finished there, securing yet another Mercedes 1-2 as Ferrari's Vettel had to settle for third. Already pumped about next week’s race! Expecting a lot of passing in the second DRS zone... Should be a fun one! Ferrari should be strong here. They will gain chunks of time on that long straight if things are similar to Bahrain. Not only Ferrari and Vettel need to redeem themselves here. Verstappen and Gasly messed up big time last year. Bottas too. Also he had a weak Bahrain GP. Renault need to start finishing more races. Looking forward to the Grand Prix. Hopefully it'll be equally as eventfull as last year. 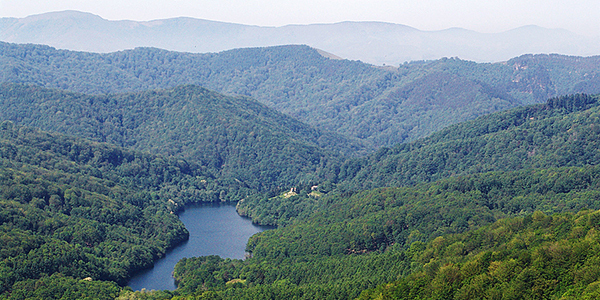 This is the circuit where Vettel began his mastery of pirouetting skills. In hindsight, who'd have thought he would have gotten so good at them last year. Definitely lots of threads that will develop over the race weekend. 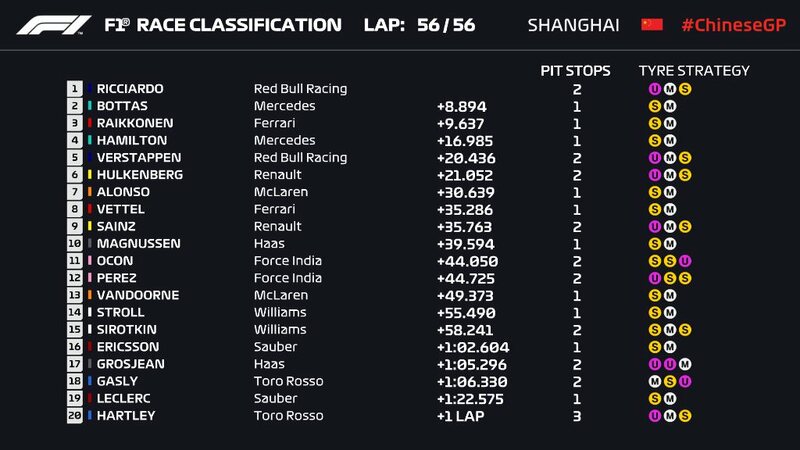 Will LeClerc continue to pressure Vettel, will Vettel deal with that pressure , will Bottas get more comfortable with the Merc to continue pressuring Ham (that one point! ), will RB get to grips with the chassis, will McLaren bring the fight to Haas, will Haas get to grips with their chassis, Albon v. Kvyat v. Gasly for the second RB seat, will Williams continue to delude themselves into believing they have a car, and not a boat (just wait for the rain!! ), probably forgot something, but damn I'm stoked! Front end grip required here so will be interesting to see if the cars strong in Bahrain can show their versatility by performing here. Hopefully Ferrari figured out a long term short circuit solution.....cuz Leclerc looks good out there against the field. Front downforce is important in China. So is maximizing laptime on the long straight. Merc have more front downforce than Ferrari, but both W10s were a bit behind LEC on the straights in Bahrain (VET, oddly, did not enjoy the same straightline advantage as LEC). Could be very evenly matched. + Saiz to score his first points. Two good peformances ruined for different reasons. Hopefully Ferrari can bounce back here as the difference with Mercedes is already important with only two races. Seems like Mercedes are screwed for this weekend, unless they have figured out how to put enough heat into tyres. Weather forecast for the whole weekend is extremely cold, more like Winter Testing temperatures. I wouldn't be surprised if Ferrari manages to dominate this weekend, unless Mercedes springs some good updates. What will be the default tyre strategy do we think? 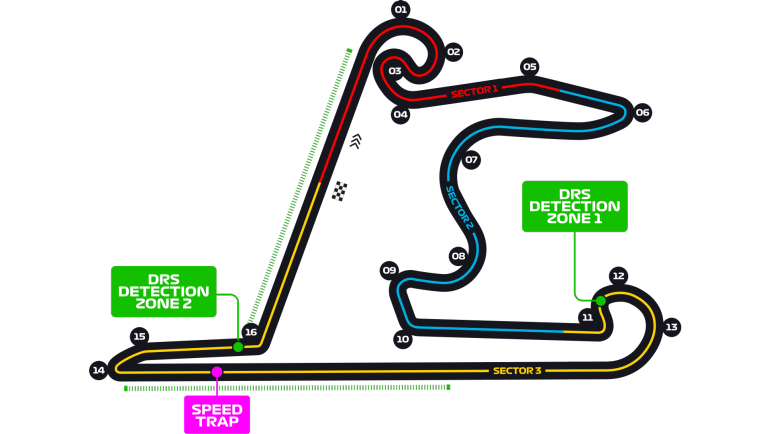 Bahrain is a rear-limited circuits with very few fast corners and a lot of slow-medium speed corners. Shanghai is a front-limited tracks with a good mix of slow, medium and fast corners. The only similarity is the long straight(s) really.